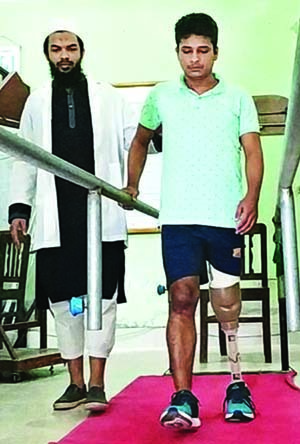 Fire fighting units rushed in two incidents of hill slides and rescued 3 people including a child at Akbar Shah thana in Port City on Sunday. At least four people including two women and a minor girl were killed in two separate incidents of hill slides in the port city early Sunday following continuous rainfall for last several days due to the influence of Cyclone Titli. The deceased were identified as Noorjahan, 45, wife of Nur Mohammad, her mother Bibi Zahura, 63, three-year Faizunnesa and Nurul Alam Nantu, 30. Two women and the baby girl were killed after a portion of a hill collapsed in Jhil area of Firoj Shah Colony around 2:30 am, said Rezaul Kabir, senior station officer of Fire Service and Civil Defence office in Shah Akbar. 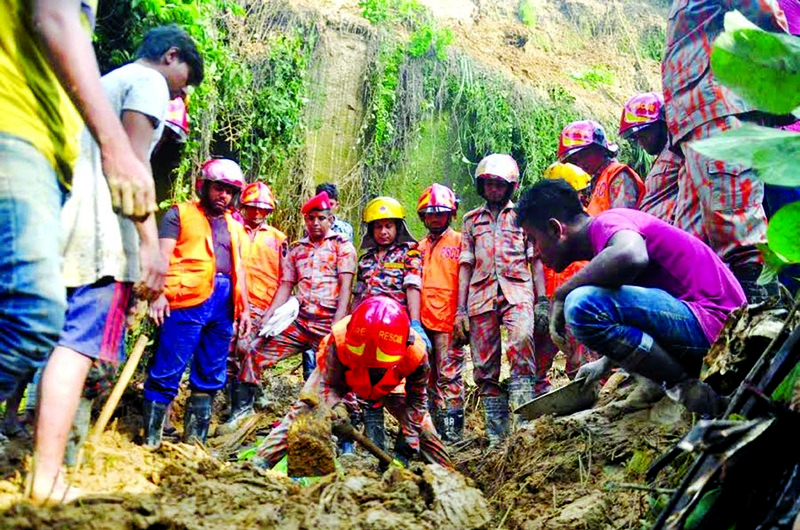 Besides, Nurul Alam, was killed as a heavy chunk of hill collapsed on his house in Hillview residential area in Panchlaish around 1:30 am, said Enamul Haque, in-charge of BayezidÂ Â Â Fire Station and Civil Defence station. On information, two firefighting units rushed in and rescued three people including a child as critically injured. 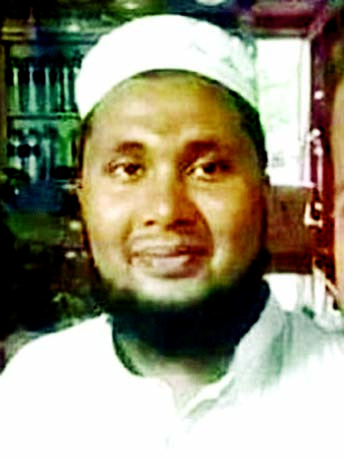 The injured were taken to Chittagong Medical College Hospital where doctors declared Nurul dead around 2:40 am, he added.